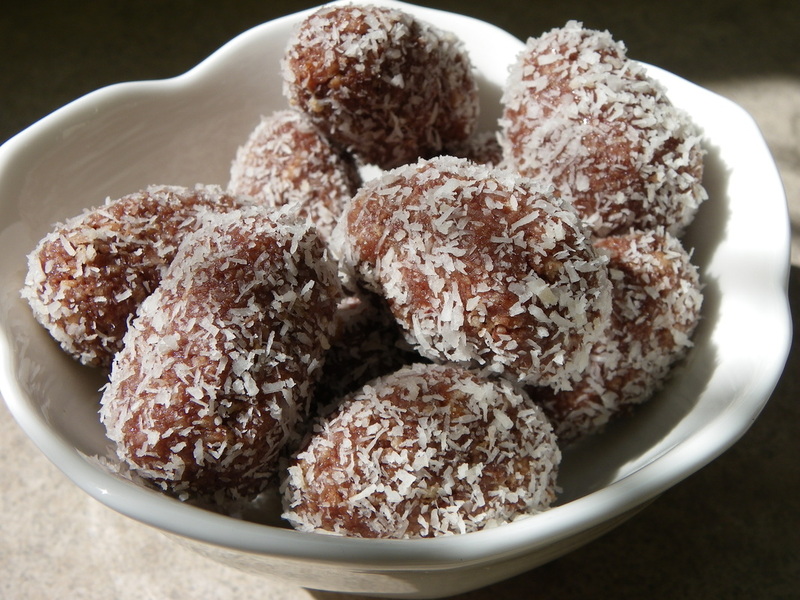 These are easy to make, no heating is involved, and kids love eating the fruits of their labour! You can cut small squares of aluminium foil to wrap each "egg" in. Best stored in the fridge (unless they are going to be eaten soon). 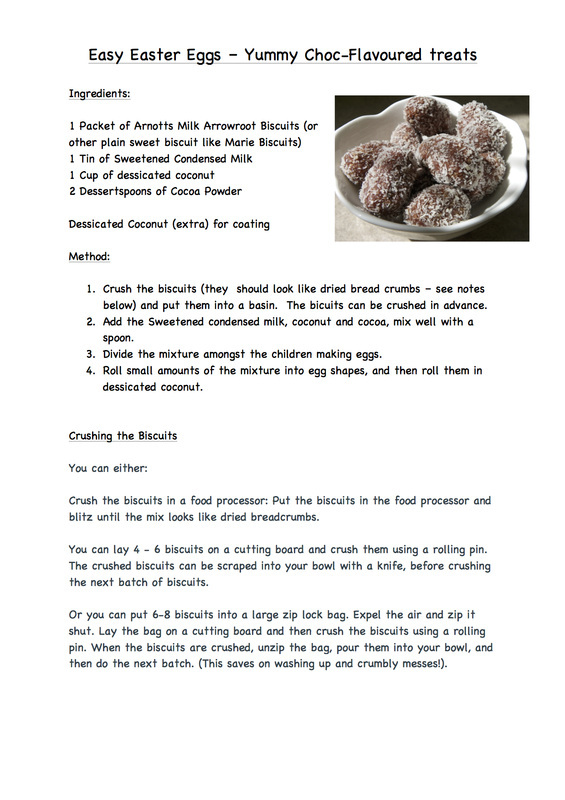 To print the recipe either right click on the jpg image (right) and save to your computer, print from there, or open the pdf version be clicking below and select "print.